we compare over 5 different insurers so you can save the most money! Owning a static caravan has some fantastic perks which is why so many people have them. Whether you have a static caravan based in Wales that you visit every weekend or even rent one out to friends and family as a secondary source of income, they have some great benefits. That said, having the privilege of owning a static caravan also carries a great deal of risk, much like that of a holiday home. This means you need to find the necessary static caravan insurance policy to ensure that your precious caravan is protected in the event of an emergency. When the caravanning season is over, and winter arrives, you are more than likely to either leave your caravan unoccupied for a long period of time or rent it out. Whilst you’re away, your caravan could be subject to theft, vandalism or damages, this means you need to find a cheap static caravan insurance policy to cover you for all events. We understand how vital it is to ensure you have the correct cover in place and that’s why One Sure tailor each cheap static caravan insurance policy to provide you with the cover that you need to fully protect your caravan. Searching for cheap static caravan insurance can be a tiring task, but here at One Sure, we do all the hard work for you. Although not a legal requirement, static caravan insurance is a necessity for any caravan owner. This is because caravans are subject to many risks, in and around the campsite. Whilst your caravan stays in the same place for a long period of time, this still means you need to get a static caravan insurance policy. Natural risks such as storms, floods and fallen trees can seriously damage your treasured static caravan so therefore, getting a static caravan insurance quote is essential. Static caravans are an expensive investment and therefore, financially it makes sense to protect it at all costs. Furthermore, static caravan repairs can also be costly due to how complex the caravan structures are. Here at One Sure insurance, we pride ourselves on delivering very cheap static caravan insurance which means when you go off on your holiday, you can keep your mind at rest. What type of static caravan cover do One Sure offer? New for old cover, this means, if anything were to happen to your caravan, we would replace it with a new equivalent model for free! 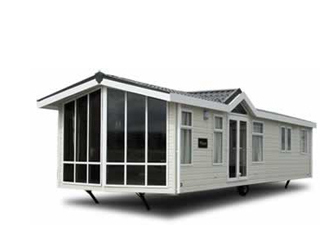 Why choose One Sure to insure your static caravan? We don’t just insure the static caravan itself, we understand to some people, their static caravan is a home away from home. This means you may have valuable possessions such as televisions, cameras and kitchen appliances which can also be protected by your static caravan insurance policy. We love to help our customers, keeping our customers happy makes us happy. If you have a question or request, give us a call and the One Sure customer service team would love to hear from you! We pride ourselves on giving our customers very cheap static caravan insurance quotes! The team at One Sure recognise how important your static caravan is to you and your family which is why we love to provide you with cheap static caravan insurance. If you have a question or query about any of the covers we have mentioned here, or want to know if we offer any more policies that would suit you better, give our friendly One Sure team a call! We also have a claims line open 24/7 in case of an emergency. Our small panel of specialist insurers here at One Sure, are fully committed to providing you with a comprehensive static caravan insurance quote at a very cheap price, so why not call us today on 0800 912 0128 to get your caravan insured. If you would prefer to generate a quote online, fill out our short online form to get your static caravan quote. Once you’ve completed the form, a member of our sales team will get in touch with you to discuss next steps.